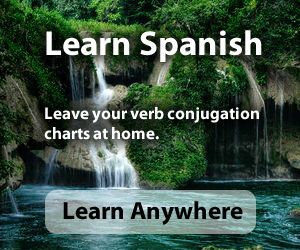 The verb "poner" can be used in a variety of ways in Spanish to express different ideas. Let's practice using "poner" in the future forms to just mean "to put" something somewhere. We'll add in some practice with direct object pronouns that we have studied previously. I am going to put the books on the table ("la mesa"). Yo voy a poner los libros en la mesa. I will put them on the table. Yo los pondré en la mesa. Are you going to put the books on the table? ¿ Vas a poner los libros en la mesa? Will you put them on the table? ¿ Los pondrás en la mesa? John is going to put the books on the table. Juan va a poner los libros en la mesa. John will put them on the table. Juan los pondrá en la mesa. We are going to put the books on the table. Nosotros vamos a poner los libros en la mesa. We will put them on the table. Nosotros los pondremos en la mesa. The girls are going to put the books on the table. Las muchachas van a poner los libros en la mesa. The girls will put them on the table. Las muchachas los pondrán en la mesa. Another way we use the verb "poner" is with a "reflexive" pronoun. Remember that these are situations where someone does something to himself. Just to review, let's look at the chart of reflexive pronouns. We can use the verb "poner" with a reflexive pronoun to express the idea of "putting on" clothing. Let's see how this would work with some sentence building practice. One thing that you will notice is that in Spanish, since we are saying that someone is putting the clothing on himself, we don't use possessive words like we do in English. Instead of saying, "I'm putting on my coat" we say "I'm putting the coat onto myself". I'm going to put on my coat ("el abrigo"). I will put my coat on. Yo me pondré el abrigo. Are you going to put on your coat? ¿ Te vas a poner el abrigo? Will you put your coat on? ¿ Te pondrás el abrigo? Mary is going to put on her coat. María se va a poner su abrigo. Mary will put her coat on. María se pondrá el abrigo. We are going to put on our coats. Nosotros nos vamos a poner el abrigo. We will put our coats on. Nosotros nos pondremos el abrigo. The boys are going to put on their coats. Los muchachos se van a poner el abrigo. The boys will put their coats on. Los muchachos se pondrán el abrigo. Another meaning which we can express with "poner" used with a reflexive pronoun and an adjective to describe a condition that someone "becomes". You might think of it as "putting" yourself in a particular "state" or "condition". As with all sentences in which we are dealing with adjectives, we have to make the adjective match the noun that it describes. Let's see how this works. We'll use the adjective "sick" which in Spanish is "enfermo". I have a picture in my mind of an amusement park and someone is warning about the consequences of riding on a wild roller coaster. I am going to get (become) sick. Yo me voy a poner enfermo. I think that I will get sick. Yo creo que yo me pondré enfermo. Are you going to get sick? ¿ Te vas a poner enfermo? Do you think that you will get sick? ¿ Crees que te pondrás enfermo? John is going to get sick. Juan se va a poner enfermo. I think that John will get sick. Yo creo que Juan se pondrá enfermo. Mary is going to get sick. María se va a poner enferma. I think that Mary will get sick. Yo creo que María se pondrá enferma. We are going to get sick. Nosotros nos vamos a poner enfermos. I believe that we will get sick. Yo creo que nosotros nos pondremos enfermos. The boys are going to get sick. Los muchachos se van a poner enfermos. I believe that the boys will get sick. Yo creo que los muchachos se pondrán enfermos. The girls are going to get sick. Las muchachas se van a poner enfermas. I believe that the girls will get sick. Yo creo que las muchachas se pondrán enfermas. I am going to get angry if John tells lies. Yo me voy a poner molesto si Juan dice mentiras. I will get angry if John tells lies. You are going to get angry if John tells lies. Tú te vas a poner molesto si Juan dice mentiras. You will get angry if John tells lies. Mary is going to get angry if John tells lies. María se va a poner molesta si Juan dice mentiras. Mary will get angry if John tells lies. We are going to get angry if John tells lies. Nosotros nos vamos a poner molestos si Juan dice mentiras. We will get angry if John tells lies. The girls are going to get angry if John tells lies. Las muchachas se van a poner molestas si Juan dice mentiras. The girls will get angry if John tells lies. Las muchachas se pondrán molestas si Juan dice mentiras. Another adjective which we can use to describe a "condition" that we get into is "happy". In Spanish we would say "contento". I can imagine a situation where someone would be very happy if they won the lottery ("ganar la lotería"). I some cases like "happy" we just say "be" rather than "become" since we mean "begin to be". I am going to be happy if I win the lottery. Yo me voy a poner contento si gano la lotería. I think that you are going to be happy if you win the lottery. Yo creo que tú te vas a poner contento si ganas la lotería. I think that you will be happy if you win the lottery. Yo creo que tú te pondrás contento si ganas la lotería. I think that John is going to be happy if he wins the lottery. Yo creo que Juan se va a poner contento si él gana la lotería. I think that John will be happy if he wins the lottery. Yo creo que Juan se pondrá contento si él gana la lotería. Mary is going to be happy if she wins the lottery. María se va a poner contenta si ella gana la lotería. Mary will be happy if she wins the lottery. María se pondrá contenta si ella gana la lotería. We are going to be happy if we win the lottery. Nosotros nos vamos a poner contentos si ganamos la lotería. The boys are going to be happy if they win the lottery. Los muchachos se van a poner contentos si ganan la lotería. The boys will be happy if they win the lottery. Los muchachos se pondrán contentos si ganan la lotería. The girls are going to be happy if they win the lottery. Las muchachas se van a poner contentas si ganan la lotería. The girls will be happy if they win the lottery. Las muchachas se pondrán contentas si ganan la lotería.